The South African Premier Division is the country’s premier football league, featuring the very best teams. In this article, we will take you on a brief trip through the history of the league, its previous winners and how the current season is shaping up. The league was initially founded in 1996 after South Africa experienced a prolonged sporting boom following the end of apartheid, and success in the Rugby World Cup and the African Cup of Nations. The original league had 18 members, but this had to be cut to 16 in the 2001/02 season, to avoid fixture congestion. The inaugural Premier Division title was won by Manning Rangers, a small team who confounded all expectations to finish above titans such as Kaizer Chiefs and Orlando Pirates. Unfortunately, the Rangers were unable to repeat their success and went out of business shortly after. In the years to follow, the Mamelodi Sundowns established themselves as the team to beat, winning three consecutive titles, before the Pirates and Chiefs took home many crowns between 2000 and 2005. 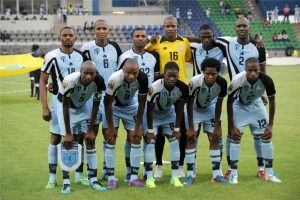 Since then, these three teams with the finest stadiums have dominated South African football, although Supersport United experienced a brief spell at the top, becoming champions in 2008, 2009 and 2010, under the management of former international player Gavin Hunt. The 2017/18 season was won by the Sundowns, their record eighth title. The club is looking to extend that number this time around, but they are facing intense competition from the Pirates, who currently lead the table. Also in contention in this competitive league are Cape Town City, a new team managed by South African legend Benni McCarthy, and Bidvest Wits, a former university side who won their first championship in 2016/17, and came second the year before.